William Wordsworth’s first sighting of Grasmere vale in the Lake District, his home for many years, was from Red Bank – an established viewpoint from where landscape could best be appreciated by the Lake District’s earliest visitors, tourists of the picturesque. Over 200 years later, the Lake District’s familiarity as image, given rise to through picturesque ideals, has evolved into a brand. Taking this viewpoint as a framework, the film looks beyond the ‘scene’, invoking the landscape through interwoven lines of observed everyday narratives shot over the course of a year. A loosely symphonic structure counterpoints tensions provoked by a landscape created by farming, and a present day economy sustained by tourism. 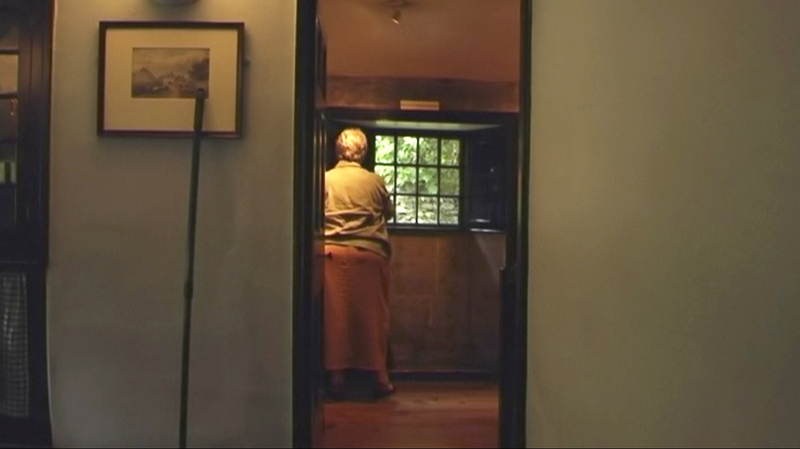 The film was exhibited as a projected installation at the Wordsworth Trust, Grasmere in 2011, to coincide with ‘Savage Grandeur and Noblest Thoughts: Discovering the Lake District 1750-1820’ an exhibition marking the 200 year anniversary of William Wordsworth’s ‘Guide to the Lakes’.